Andaman has a pleasant maritime climate that is perfect for a heavenly vacation in the island paradise. The soothing environs along with the enjoyable weather conditions make Andaman a coveted destination throughout the year. Andamans can be a joyful pilgrimage to country lovers and sojourners any time of the year. But due to heavy rains and few isolated case of ravages caused by cyclones during the monsoon months of June, July and August, this paradise is best avoided during rainy season. Also during the adverse weather conditions or heavy rainfall the connecting ferries plying between the different islands get cancelled and thereby the risk of getting stranded in one of the isolated islands increases manifold. The churning seas swell and go berserk during monsoons and might ruin your itinerary and vacation plans. The best time would be the winter months when you have a pleasant and mild sunshine and starts from October and continues till March. Thus the months of October, November, December, January, February and March are best suited for a vacation in Andamans. The months of April and May have plenty of sunshine and the weather might be a bit too hot for comfort. But the seas and water sports would be very enjoyable. Then come the monsoon months of June, July and August, which see very thin trickle of tourists. And then from the month of September onwards the tourist season again starts picking up crowd and continues the whole of winter season is pleasant and Andamans can be visited. Though it might be a bit too sunny for the comfort of some you may still think of planning. The sea breeze and the maritime moist mildness will ease the heat. Here goes a brief chart of the temperature and humidity of the Andamans. The record highest temperature of Andaman has been recorded in the month of May and shows at 36.4 degrees Celsius. 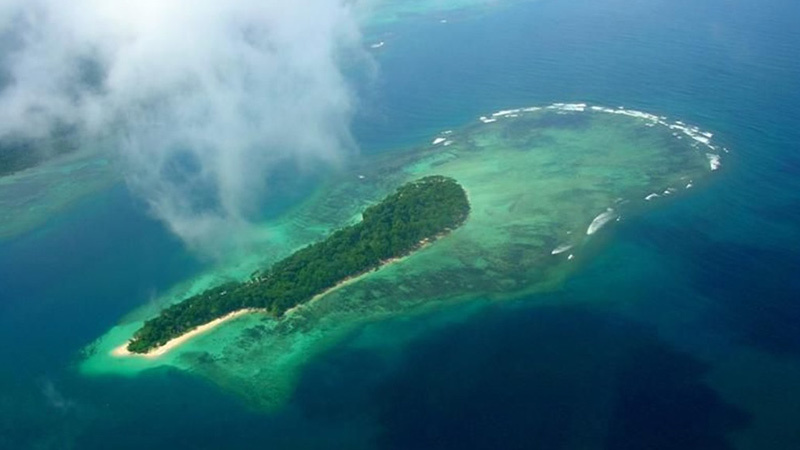 The record lowest temperature of Andaman has been recorded in the month of January and shows at 14.6 degrees Celsius. The average low temperature of Andaman has been recorded at 22.4 degrees Celsius. The average high temperature of Andaman has been recorded at 29.9 degrees Celsius. The daily mean temperature of Andaman has been recorded at 26.2 degrees Celsius. The average relative humidity of Andaman has been recorded at 79% degrees Celsius. January – Winter season in Andamans. Mild winters, pleasant sunshine and enjoyable climate attracts a lot of tourists. February – Winter season continues. Days are warmer and very comfortable. Lots of tourists visit the land in February. March – Still the days are pleasantly cool and ideal for a visit to the enchanting Andamans. April – Days get warmer but the soothing seas mollify the heat. May – Andamans sees plenty of sunshine and not bad for the tourists who come in search of sea, sand and sun. June – Monsoon starts in Andamans. Tourists generally avoid travelling to Andamans during monsoons. July – Peak monsoons disrupts tourist flow. Andamans sees very less tourists. August – Again tourist season starts reviving. Weather cools down a bit after the monsoons with intermittent tropical showers. September – Tourists increase in numbers and weather is great but towards the hotter side a bit. October – Weather starts cooling down. Tourists begin to pour in. November – Weather is truly enjoyable; pleasant and peak tourist season. December – Mild tropical winters; one of the best months to enjoy Andamans; peak tourist season; maybe the maximum number of tourists.